The 247 Grid is an online tool to support individuals and their families to identify what they want to achieve, where the barriers and gaps in their support are, and design their own care and support plan. It is a wonderfully simple tool that uses a visual map of your average week and colours to identify your priorities, which can be invaluable when trying to explain your needs to a social worker. Unpaid carers can highlight the hours and tasks they deliver whilst supporting their loved one. The 247 Grid can visually portray the areas where a carer is struggling and provide supportive evidence to apply for a respite break. If you have a direct payment, the 247 Grid can help you manage your budget. The clever calculation tools will tell you what budget you have left as you design the support you want each week. The plans produced by the 247 Grid are printable so you can show it to your social worker, teacher or day service and take it along to your annual review. Having a picture of what your needs are and where you would like the services around you to focus their efforts makes it easier for you to talk about these things in a meeting. 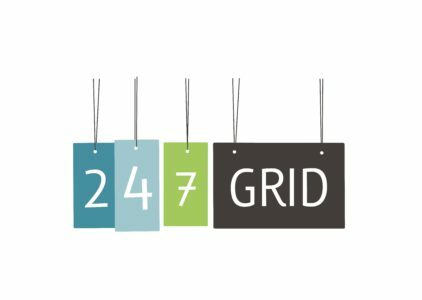 The 247 Grid has been developed by a small company called Time Designers Ltd which is co-owned by Rachel Mason, a family carer with two sons with autism and learning disabilities. You can read more about Time Designers Ltd and about Rachel’s story here. Assessment has been turned on its head with the 247 Grid. At last there is a practical way to look at a person’s life and build in the support they need around them to live it! You can register for a free trial and have a subscription for as little as 50p a week.